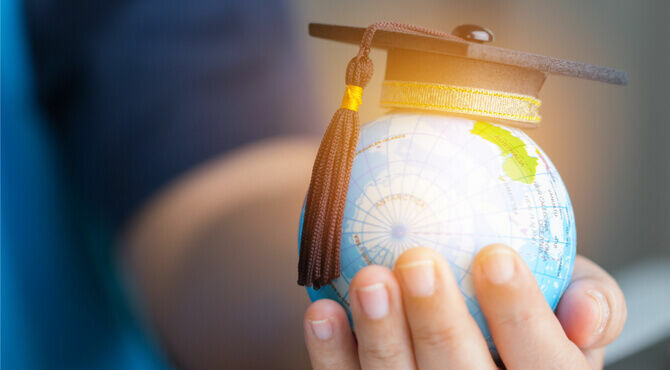 The departments for Education and International Trade have launched a new joint policy to grow the UK’s education exports and number of international students at UK higher education institutions. Education Secretary Damian Hinds’ and International Trade Secretary Liam Fox’s International Education Strategy: Global potential, global growth aims to cement the UK’s leading role in the global education market, and maximise the benefits to both foreign students and the UK.As the UK prepares to leave the EU and capitalise on its global leadership in the education, research, artificial intelligence, technology and fin-tech fields, the plans could see the current 460,000 international higher education students boosted by 30%, and increase the income generated by education exports to £35 billion by 2030 under the government's new strategy.The announcement came a few days after Chancellor of the Exchequer Philip Hammond’s Spring Statement. This pledged £200 million to cutting-edge scientific research in the UK as part of the Industrial Strategy's plan to invest 2.4% of UK GDP into research and development. The funds will be distributed primarily to projects in Edinburgh, Cambridge and Harwell Campus in Oxfordshire. consider how the visa process could be improved for applicants and supporting student employment. Colin Bell, CEO at The Council of British International Schools (COBIS), also applauded the plan. "COBIS welcomes and supports the strategic ambition, leading up to 2030 and beyond, and clear action points as set out in the new HM Government's International Education Strategy. The cross-governmental approach to this cohesive plan provides depth, clarity and a dynamic global perspective.“As the growth of the British schools overseas sector continues, COBIS fully supports the government's commitment to the importance of accrediting bodies.“COBIS has a deep-rooted long-term commitment to quality, high standards, safeguarding and to providing a scalable solution to initial teacher training and professional development in British schools overseas and in the UK. This work is an excellent example of an effective and consultative partnership between the government and key educational industry bodies." How is the UK improving access to universities for overseas students? The government's plan focuses on retaining existing markets such as Europe, while raising the profile of the education sector further across Asia, Africa and Latin America.The UK’s education sector already has a strong presence in these regions. Many UK-based leading independent schools and universities have already established new schools and partnerships in key locations.Importantly, the new policy places no limit on the number of international students that can study in the UK. It also raises the post-study leave period to six months for undergraduate and masters students attending institutions with degree-awarding powers. This increases to a year for all doctoral students. Could salary threshold visa plans dampen post-graduate prospects? While employers and academics have welcomed these moves, some universities and those in the sector are calling on the Home Office to make post-graduation visas more ambitious. In particular, to reassess proposals for the £30,000 salary threshold for skilled workers recommended late last year by the Migration Advisory Committee (MAC).This follows concern people in the early stage of their research, academic and professional careers – especially women and people working part-time – could be penalised by falling outside the post-graduate time limits and the £30,000 threshold at a time when the UK is facing widespread skills shortages. Earlier this month and before the plans were announced, the Russell Group, which represents 24 of the country's top universities, called for the skilled-worker visa salary threshold to be cut to £21,000. To not do so would make it "difficult to fill thousands of scientific, teaching and technician posts and could discriminate against part-time workers, who are predominantly women." Follow the links for more news and features from Relocate Global on Education and Immigration.